Dustin Shifflett | Abrahamse & Company Builders, Inc.
Dustin has been with Abrahamse & Company for 8 years. He started as a carpenter’s helper, then left for a short period of time only to return as a carpenter. He continues to work through the ranks and is now supervising a very complex pool and pool house project. Dustin is a natural with his tools and is an awesome mechanic as well. 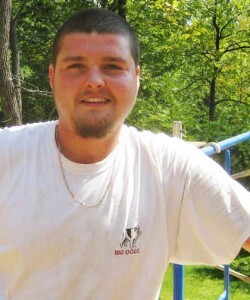 A native to Greene County, Dustin spends his free time with his two young sons and family. Dustin has built his own home, and is an avid gardener. In the summer, he always has bountiful crops that he preserves, cans, and freezes.